A crocodile park is back on the menu of possible tourist attractions in Cyprus despite earlier protests from residents of Psematismenos and Tochni where the park will probably be located. A JOINT Israeli-Cyprus venture is seeking permission to set up a crocodile park despite the controversy it stirred the last time, particularly from residents in Psematismenos and Tochni where it will probably be based. “The last time we could not even consider it, it was not even a park; it was a front for something else,” environment department director Costas Hadjipanayiotou said. The application by TSA Crocopark Ltd, which will be discussed by the Environmental Impact Assessment committee in the beginning of July, has reduced the number of Nile crocodiles from the original 1002 to about 170-220. “The conclusion that came out during the last debate was that this will not be a zoo, but nothing more than a breeding farm,” the Green party said. The farm will be based off the Nicosia-Limassol highway near the Choirokoitia exit. “We also need to look at the matter of importing the crocodiles,” Hadjipanayiotou said, adding that “they told us they would bring whatever papers we needed,” apparently indicating an eagerness to comply. 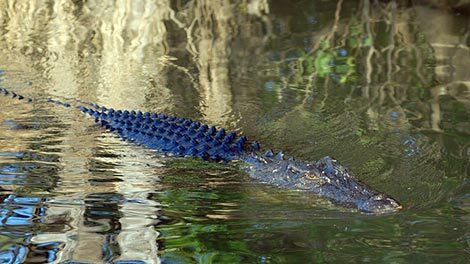 The Nile crocodiles would come from Fatzael Crocodile Park in Israel which was closed down after 70 creatures escaped in 2011 causing mass panic in the area. Residents of Psematismenos and Tochni had refused to consider the matter last year when it was discussed. Leader of Psematismenos community council Christodoulos Papachristou, said he had no concrete information for the new application and had no reaction as of yet. According to the daily Phileleftheros, an animal population registry would be created and before they are brought to Cyprus, would get an RFID chip (radio frequency identification) and would follow the international standards that regulate the RFID of animals. At Fatzael, the surrounding lakes will be drained and the crocodiles will be fed for the duration of the three to four day trip, sprinkled with water and in suitably sized cages. They would be accompanied by a vet. The state veterinary services would inspect the crocodiles upon arrival at Limassol port in the animal quarantine area. An impact assessment study by Atlantis Research Organisation outlined that the positive and negative consequences of the park to nature, people, public health, the well-being of residents and the broader area need to be identified. The report included that negative consequences should be minimised or avoided and certain codes of practice followed in South Africa and Australia that have similar facilities should be followed as should the health and safety code for visitors and staff. I wonder if a lot of the lawyers bankers etc got worried when it was said that the crocs would be held in a secure compound and would have identity chips. They thought it was crooks.!! @John Mann on 2015/06/13 at 11:13 am – You forgot the ‘crooks’ who masquerade as property developers. Let’s hope the first few that escape call in at the banks and lawyers’ offices, oh and not forgetting the political fraternity! !